Ending the prohibition of marijuana is a very hot topic in Maryland right now, especially as the debate has become a significant issue in the upcoming gubernatorial primary elections. Last week, Maryland political commentator Barry Rascovar outlined several incorrect assertions about marijuana, yet failed to seriously analyze our failed prohibition policies (“Rascovar: Serious questions about cannabis, politics & public health” May 26, 2014). A closer, more rational examination leads to the conclusion that Mr. Rascovar’s concerns would be addressed by taxing and regulating marijuana like alcohol. Marijuana is objectively less harmful than alcohol. It is less toxic, less addictive, and less harmful to the body, and it does not contribute to violent and reckless behavior. Adults should not be punished for choosing to use the safer substance. According to a 1999 Institute of Medicine report, only 9% of marijuana users ever meet the clinical criteria for a diagnosis of “dependence,” compared to 15% of alcohol users and 32% of tobacco users. A majority of Americans support making marijuana legal, and they care just as much about protecting young people as those who wish to keep marijuana illegal. They simply believe regulation would be a more effective way of doing it. 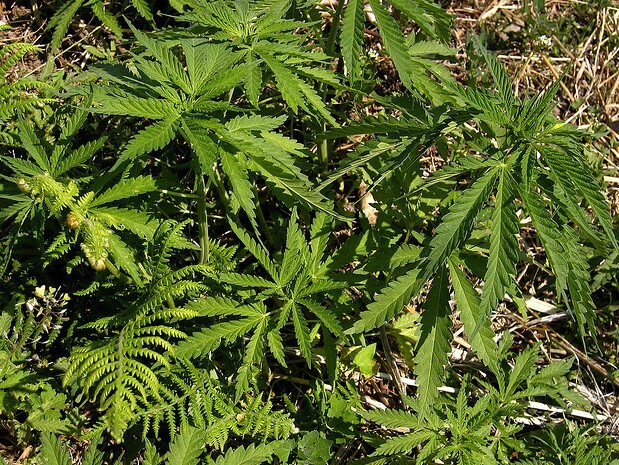 Research has shown that reforming marijuana laws does not increase teen marijuana use. A 2012 study conducted by researchers at universities in Colorado, Montana, and Oregon found “no statistical evidence that legalization increases the probability of [teen] use,” and noted that “the data often showed a negative relationship between legalization and [teen] marijuana use.” State surveys of students in several states with medical marijuana laws have consistently reported declines in teen marijuana use since those laws were passed. By forcing marijuana into an underground market, we are guaranteeing that sales will be entirely uncontrolled.Illegal marijuana dealers do not ask for ID, they sell a product that is unregulated and possibly impure, and they might expose consumers to other more harmful drugs. In a regulated market, businesses would be required to ask customers for proof of age, and they would face severe penalties for selling marijuana to minors. No drug is entirely harmless, including marijuana, and we’ve never said it is. But it’s also true that independent scientific and government reviews have concluded that the health risks of marijuana are much lower than those of alcohol and tobacco, and that those risks don’t justify arresting and jailing responsible, adult marijuana users. It is currently illegal to drive while impaired by marijuana, and it will remain illegal after marijuana is regulated and legal for adults. Since law enforcement officials will no longer need to spend time arresting and prosecuting adults for possessing marijuana, they will have more time to spend enforcing laws against driving under the influence of alcohol, marijuana, and other substances. Furthermore, statistics connecting marijuana use to traffic accidents are generally unreliable. For example, marijuana can remain detectable in a user’s system for several days or even several weeks after he or she consumes marijuana, and the data on traffic accidents usually does not differentiate between whether a driver was actually under the influence at the time of the accident. Like alcohol, there are more potent and less potent types of marijuana, and regulating marijuana will ensure consumers know what they are getting. Some people prefer to have a cocktail instead of a beer, and as a result, they know to drink less of it. By regulating marijuana like alcohol, we can ensure it is packaged and labeled properly. It would be crazy to sell beer and tequila side-by-side without having them labeled so people know one is far stronger than the other. Even the most potent marijuana is far less harmful than alcohol. The Centers for Disease Control and Prevention (CDC) attributes about 40,000 deaths per year in the U.S. to alcohol use alone, including hundreds from overdoses. It attributes zero to marijuana, and there has never been a fatal marijuana overdose in history. It is clear that the only sensible solution to ensure the health and safety of our communities is to tax and regulate marijuana.